What started off as a get together with friends is now, well...we'll revisit that later, why don't we all just admire these beauties first. What started off as a Sunday morning drive between friends has now become and is hopefully going to turn into something that we here at Fuel Files can call the unofficial Cars and Coffee at a little coffee shop in the heart of Miami's art district, Wynwood. All of this started between Gaston Rossato, owner of The Barn Miami and Juan Robbin, Motoringstyle's editor-in-chief, members of Fuel Files. It was a Sunday morning drive that let them stretch the legs of their beautiful Alfas and Porsches and BMWs to name a few and after over a year, it started to catch on among their friends. Being good friends with Gaston and Juan, I was invited to these drives in the project e30 we have here. "Sweet cars, good people, great networking opportunity to help Fuel Files grow, heck yeah I'll go!" Given, I am guilty of not going to all of the drives due to school (yes, stay in school kids), but once I heard the news that the guys over atParkhaus1 (you know, those guys responsible for every RWB you see in Miami and DRT? Yeah, them.) were going I knew I had to go no matter what. A very spirited drive later, I arrived at Panther Coffee and there it was, the greatest turnout in the history of our Sunday morning unofficial Cars and Coffee drive. 25 cars, 25 enthusiasts, 25 people came together all for one reason, the passion for cars. 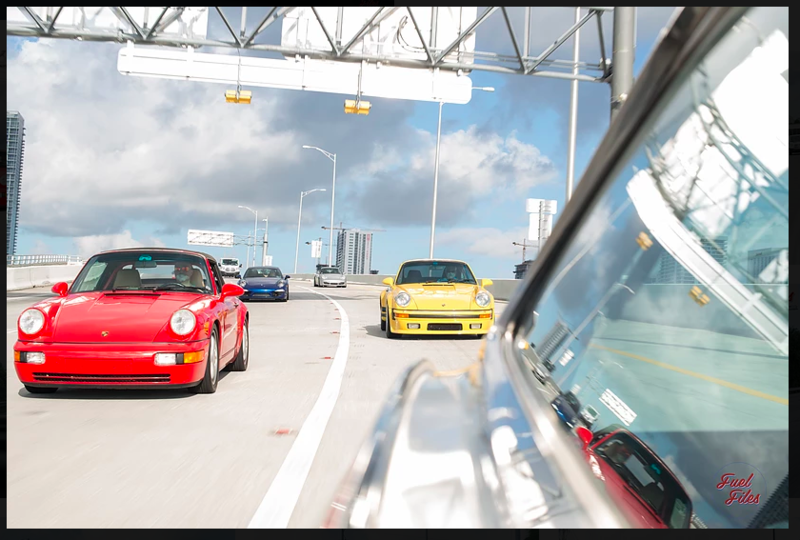 This turnout is the first of many more great Sunday morning drives, and even though this is an unofficial Cars and Coffee, this is definitely something that Gaston, Juan, and us over here at Fuel Files want to do/make happen for Miami.